Manage your Portalbuzz subscription anytime. The subscription is held by the person that signed up for the subscription. However, you can change or update the subscription owner, change preferences and also update the credit card that you use for the account. 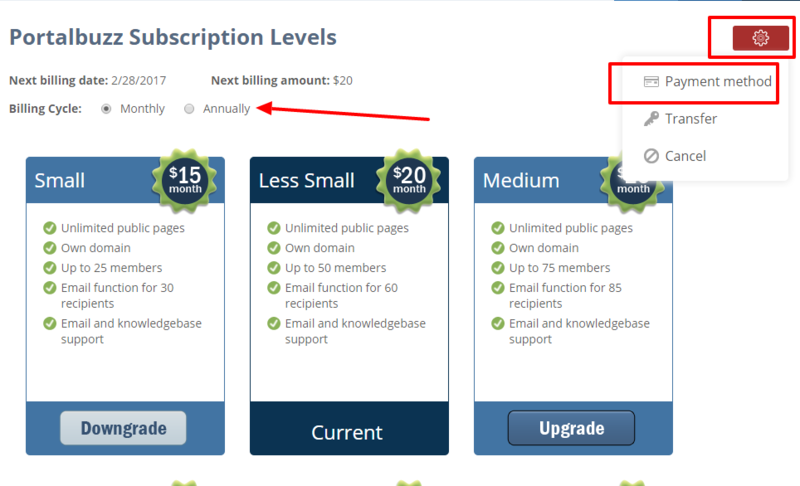 There is also an Upgrade or Downgrade button if you wish to make changes with your subscription level. 2. 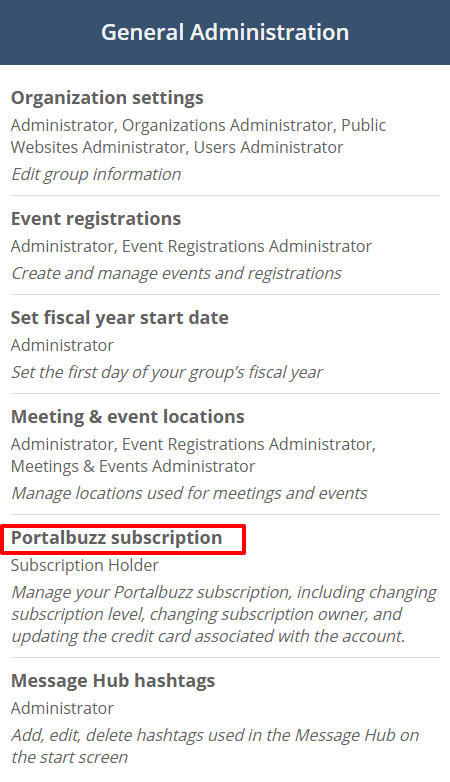 Under General Administration, locate the Portalbuzz subscription category. Click the red Administration icon and select Payment Method. On the Portalbuzz Subscription payment type page, complete the information. Change the billing frequency by selecting either Monthly or Annually. As roles and responsibilities in the club change, subscription ownership can be transferred to another member. This function removes the credit card information from the existing owner and sends an email to the new owner. The new owner of the subscription will then respond to the instructions in the email and enter their credit card for payment of the subscription. Click the red Administration icon and select Transfer. In the Transfer subscription window, start typing the first or last name of the member to transfer the ownership of the subscription.